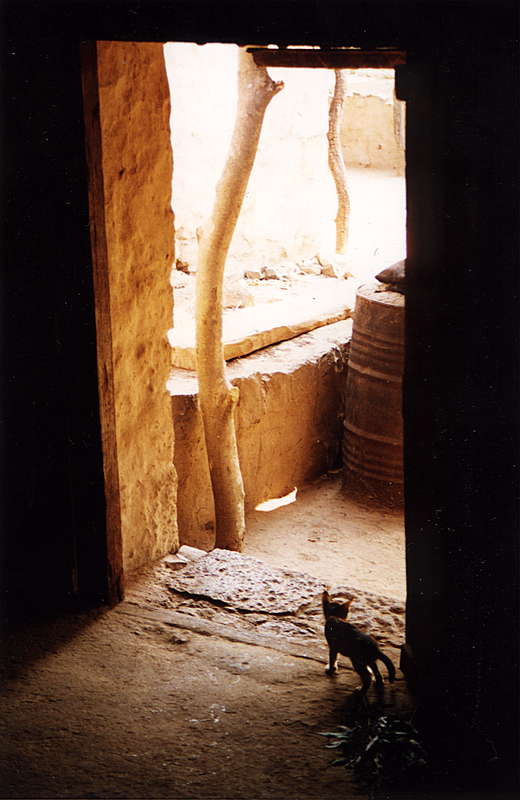 We visited the village on March 15 and 16, 1997. 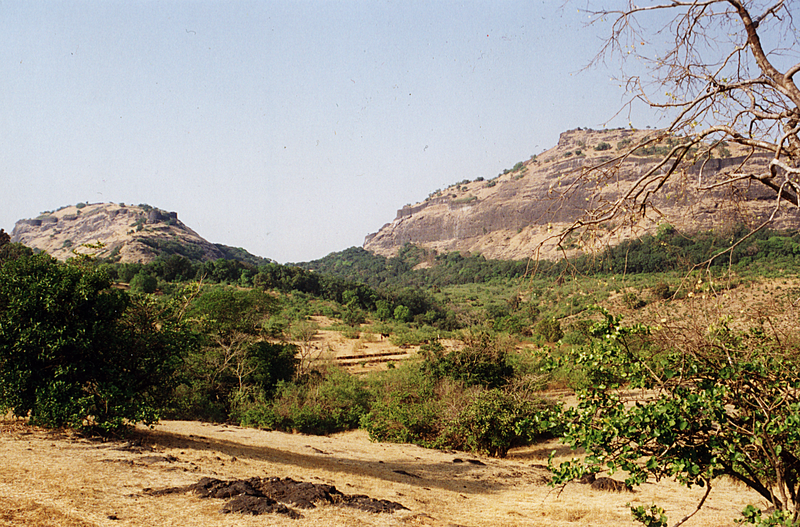 The village is situated at the foot of fort Rajmachi. Until 1996 there was no road reaching the village. 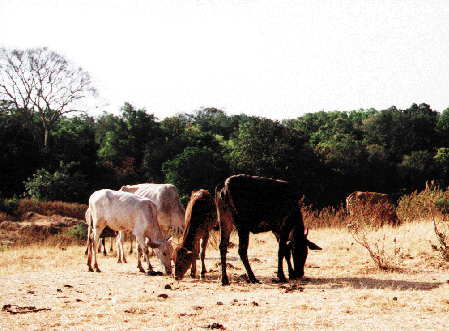 Villagers had to walk 45 hours from Lonawala, a town which lies on Bombay-Pune highway. 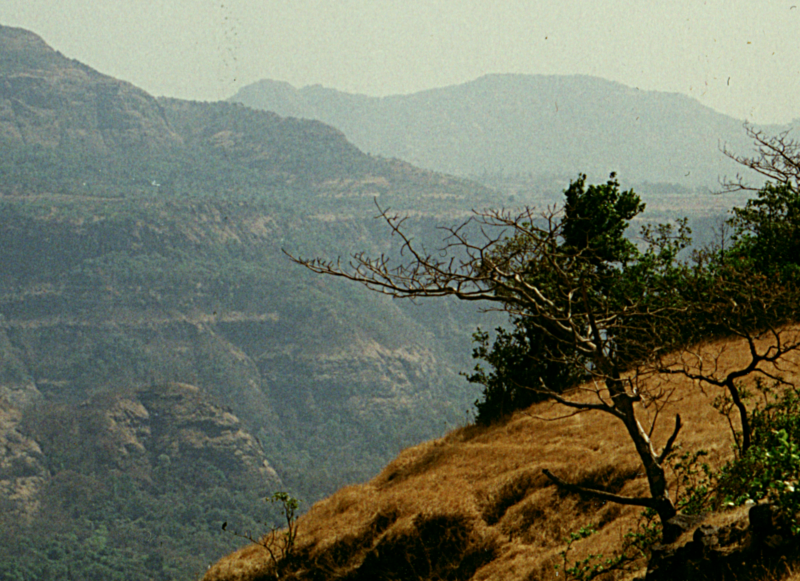 Even today villagers have to walk, but tourists can come in a jeep on a rough road which is maintained by the owner of a company to transport his goods. 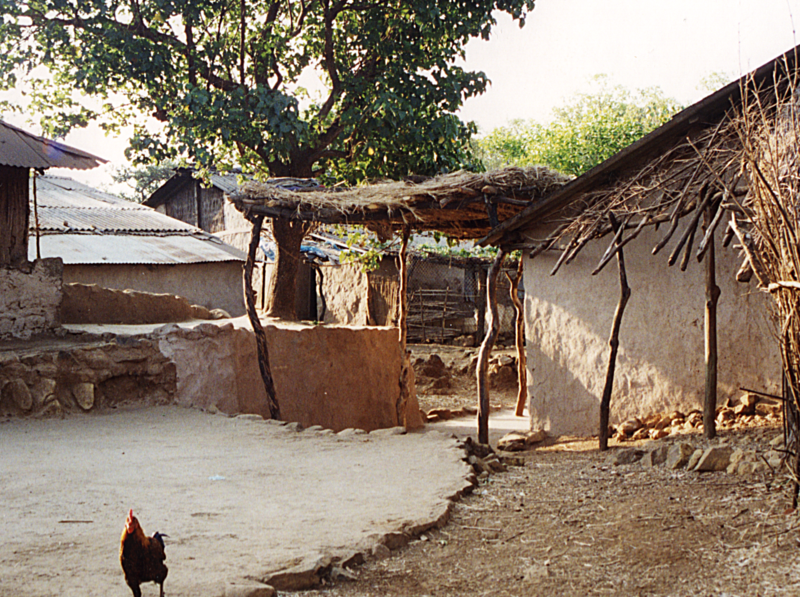 A youth from Bombay visits this village at least once a week for the last 2-3 years. He belongs to the group called ’Ideal group’. According to him, the group has taken shape when the members of the group were in the NSS (National Service). With the help of some youths in the village he has started an institution in the village. He has taken three youths to Bombay for giving higher education. 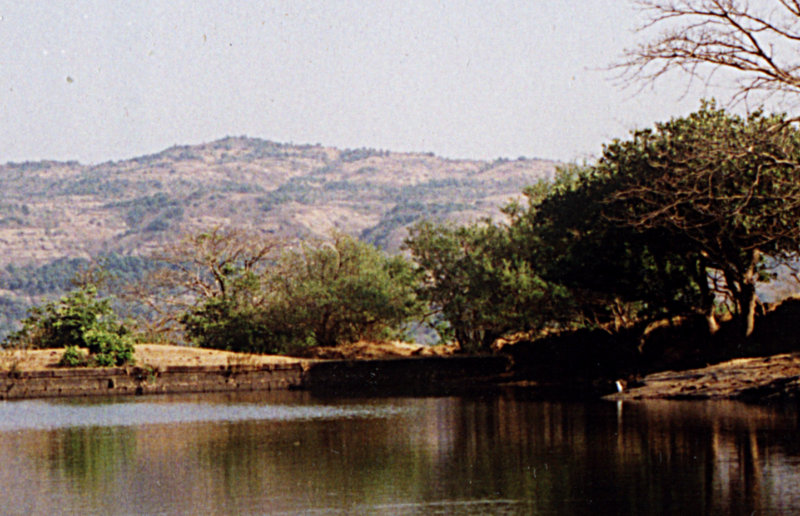 In the village there is one old Shiva temple, and near that there is a big natural lake. 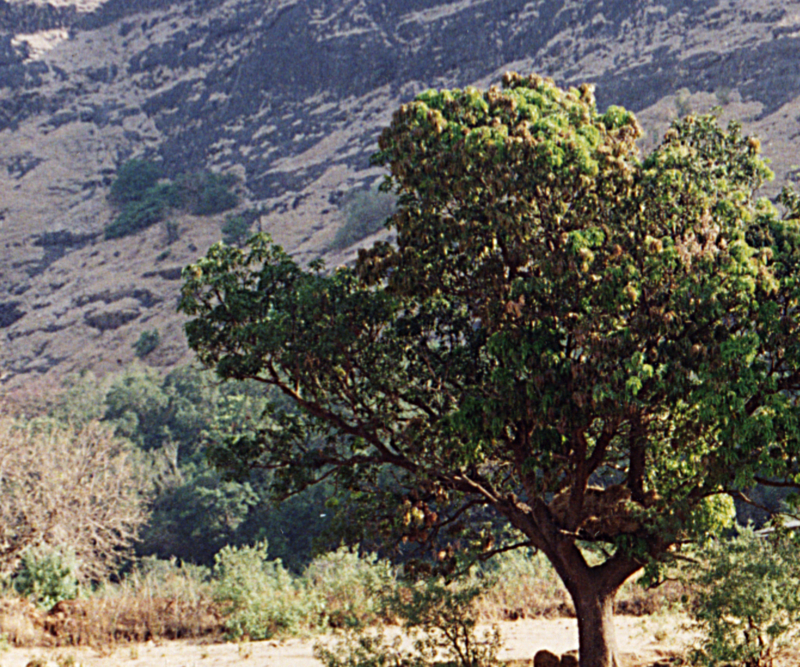 The temple is at the foot of the hill. During the monsoon the mud saturates at the bottom of the temple. The basement of the temple is covered with this mud. The youth from Bombay and the local youths who help him have prepared a scheme of clearing the temple basement and erecting a stone wall behind the temple. In addition, they have another scheme for repairing the school building. 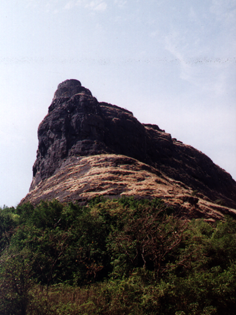 Rajmachi fort has become a tourist centre at least since 1990. 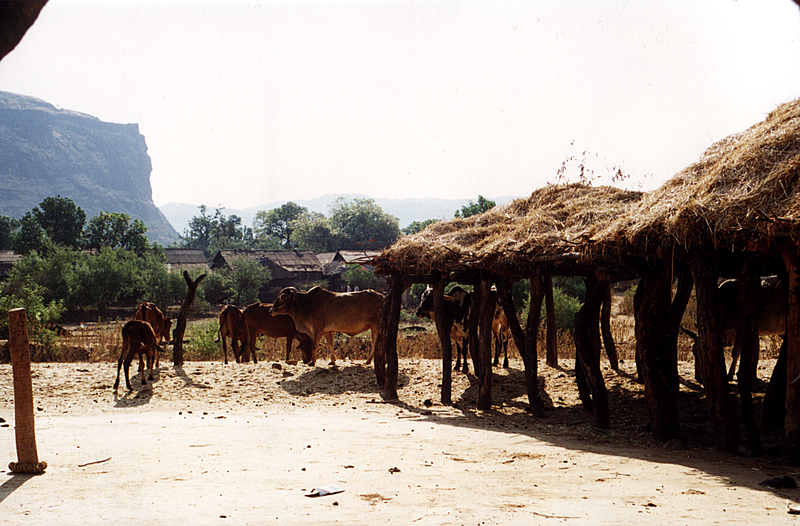 The tourists come and stay in this village for one or two days. 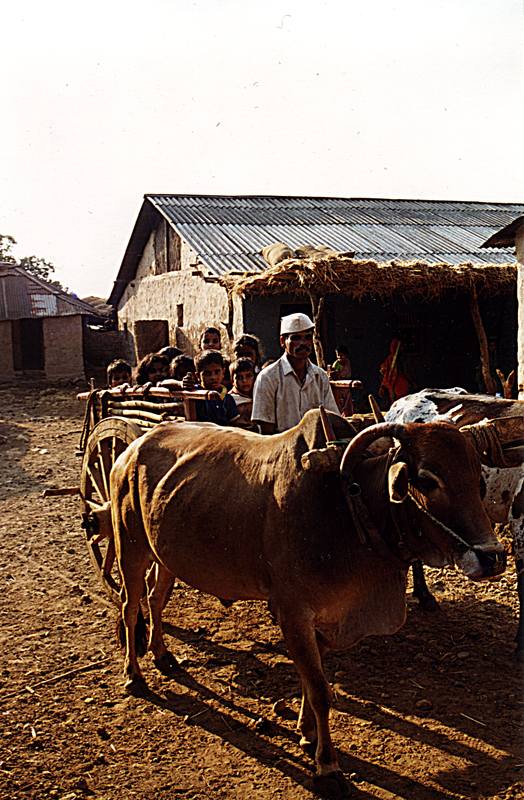 The whole village is engaged in the service of the tourists. 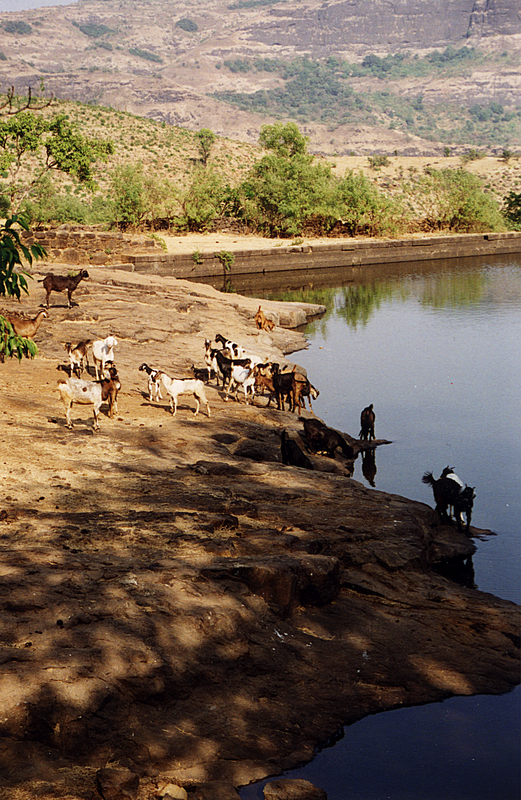 No tap water is available in the village. Women have to fetch it. At a time, providing water for 100 persons is a very tiresome task. 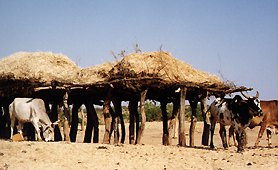 The tourists have the idea that it is natural on their part to ask for the services from villagers. 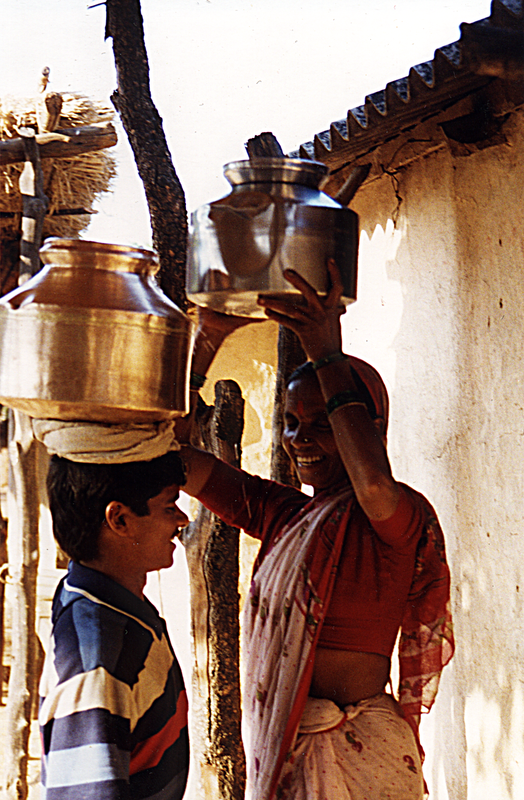 These villagers have even less status than paid servants, but as the service is income generating, people forget about these offending attitudes. 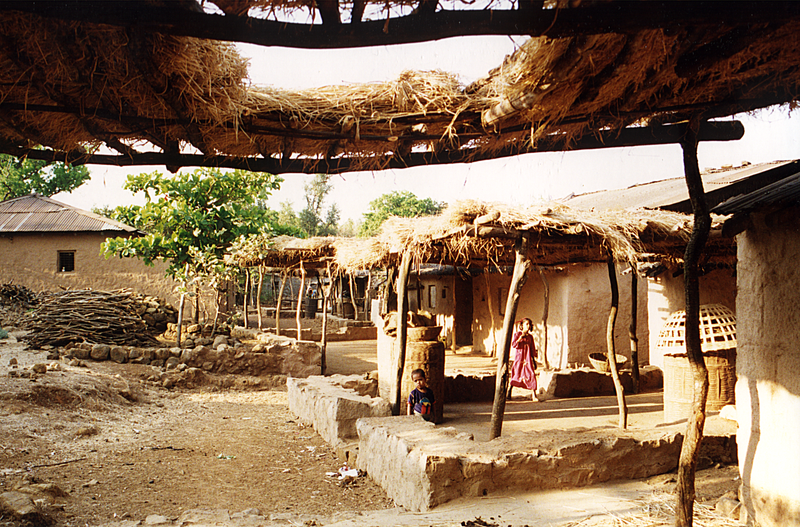 Villagers have built large houses to accomodate the tourists. 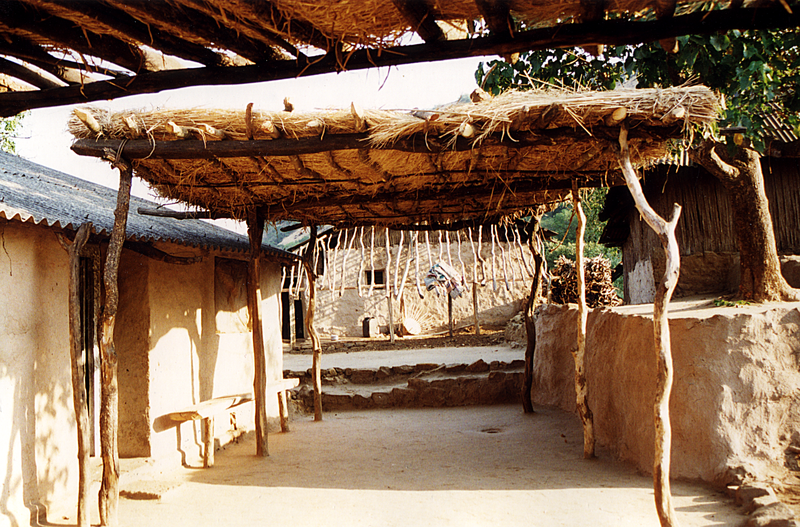 Many villagers have acquired the skills of masonry and carpentry which they use for building their own houses. 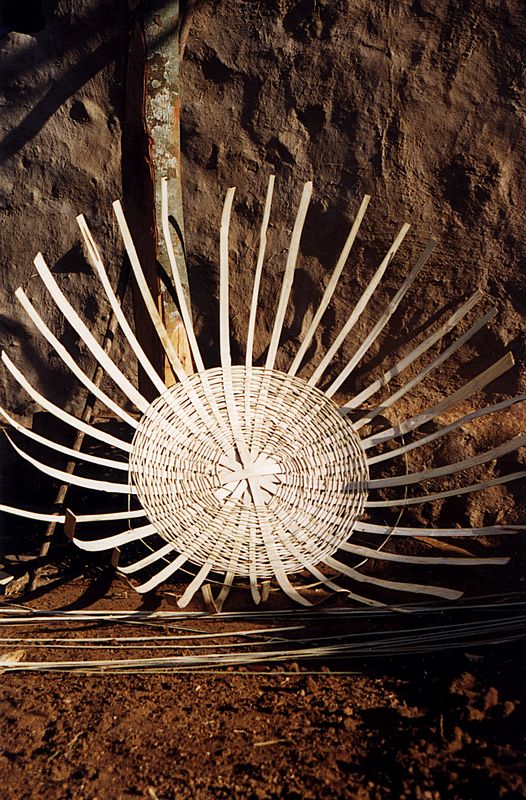 The wood is used profusely from the nearby forest without any charge. 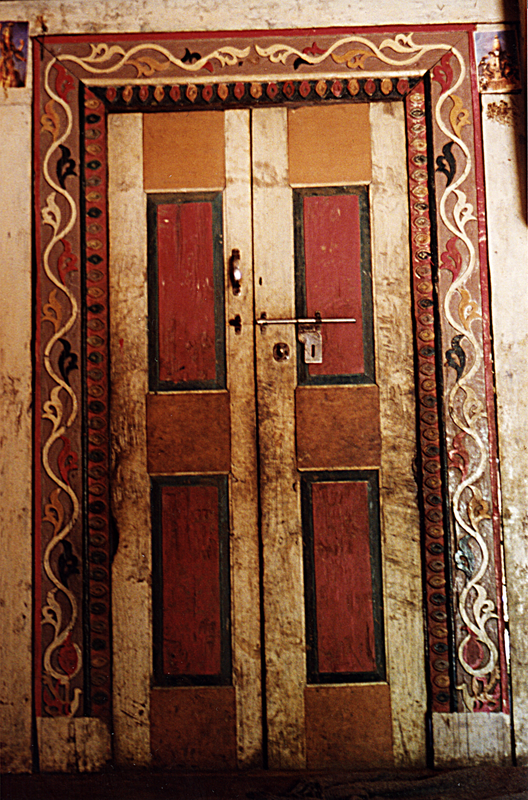 For the benefit of the tourists, some houses have constructed closed bathrooms. Generally the eating habits do not change quickly, but in Rajmachi, to our surprise, we tested a food which is not generally eaten in rural Maharashtra. Some villagers were pleased to tell us that the people from Bombay take part in the Holi festival. The traditional rule for Holi is that people are not to wear any chapals or shoes. But the people from city cannot go barefoot. 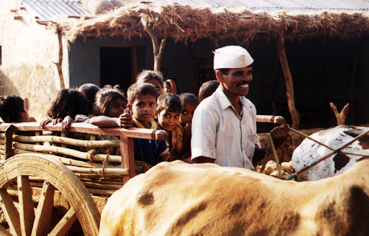 As a compensation they have to pay money to the villagers. The culture can be bought by money!